The Los Vaqueros Reservoir in California is being expanded. The reservoir’s capacity will grow from 100,000 acre-feet to 160,000 acre-feet. 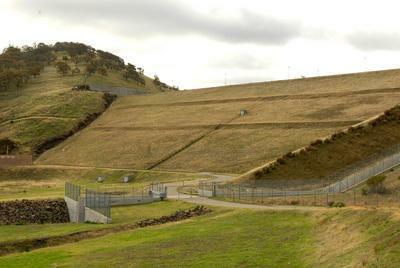 The dam will increase in height by 34 feet. The project will cost $120 million and will be completed in 2012. Barnard Construction is the contractor on the project and they are one of the top 4 dam builders in the nation and have received many awards for their work. They know how to make a dam hold water and perform. 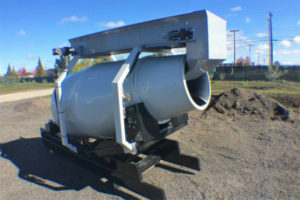 On the Los Vaqueros project, they needed a portable cement mixer that they could use for a special plugging operation. They used the Cart-Away CUBE, a 1.5-yard large cement mixing system to meet this objective. 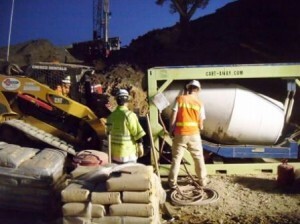 Barnard Construction used the CUBE to batch the Bedding Mortar, an 11 sack sand slurry, for placement in the upstream face of the Roller Compact Concrete (RCC) Block at the Los Vaqueros Reservoir Expansion Project. Bedding Mortar is a critical component to aid in providing a watertight seal between each layer of RCC in the upstream face. Shawn L. Perrin, Project Engineer for Barnard stated; “The CUBE was chosen for this project because it allowed our crew to batch bedding mortar on demand and as needed during the night shift when the RCC Placement occurred. 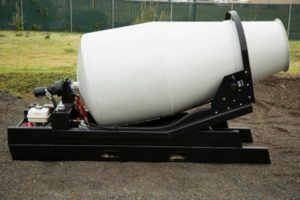 This system saved us from paying nighttime opening and operating costs of the closest Concrete Ready Mix Plant and was able to keep up with the fast pace RCC Placement”. 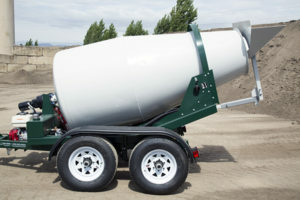 A (bedding mortar) sand slurry can be difficult for any Ready Mix company or mixer truck to produce as the cement tends to ball up with no coarse aggregate to help break it apart. “The CUBE consistently produced over 400 Cubic Yards of bedding mortar that met the stringent project specifications and our expectations”. continued Mr. Perrin. 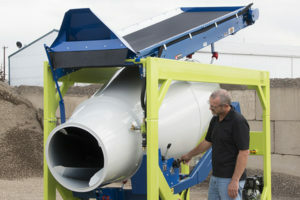 Using a portable cement mixer which combines the batching conveyor and the mixing drum in one package allows these types of remote and specialty mixing applications to be completed with more efficiency. Contractors like Barnard are continually investigating and applying the best ways to use the Cart-Away CUBE mixer.